A skilled fine artist who dynamically fuses painting and photography, Paul Robinson born in Grimsby in 1982, is fast gaining critical recognition and a celebrity following for his exciting work. 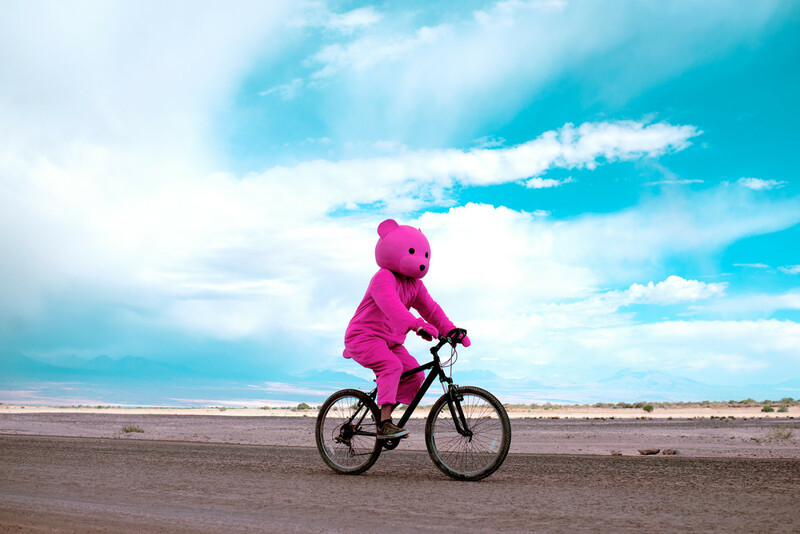 His most iconic series depicts a pink teddy bear come-to-life and placed in the real world acting as a metaphor for discovery and exploration. The costumed figure – a striking motif in his work – exists between reality and make-believe, youthful innocence and corruption, leading a lifestyle that looks simultaneously enviable and questionable. Paul has lived and worked in London for over a decade but his ability and passion was spotted by inspirational teachers in his home town of Grimsby. Over the last decade, his work has been exhibited and sold globally in London, New York, Hong Kong, Barcelona, France and Dubai.